ino Flo lighting systems provide a continuous, energy efficient, soft light. The Kino Flo fixtures enable light temperature control by interchangeable tubes in variable sizes..
itePad LED Panels provide a soft, bright, even, daylight, energy efficient light source. 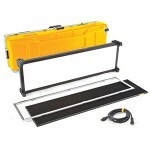 The LED light panels are thin, versatile, lightweight with a selection of mounting, dimming & light control accessories. All these features make the LitePad LED panels ideal for small sets, car shots, concealed light sources and lighting where standard light sources just won’t fit. 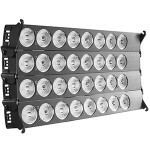 Light & 6Light LED Panels are unique, portable LED fixtures. These panels enable temperature variation, dimming, green/magenta correction in an adjustable beam fixture. 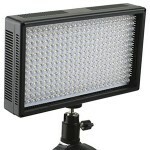 Each LED has a fresnel lens making it soft but fully directional. ino Celeb is a large LED soft panel providing a broad, soft light & color faithful (CRI 9). Precise color temperature & dimmer controlled via panel or dmx. This light source is strong, soft & accurate. 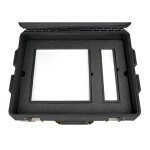 ED 500/1000 Panel are portable, lightweight, AC/DC light sources. They are color temperature & dimmer controlled. These panels produce a soft, directional, energy effecitent light beam. ED 312 is an On-camera bi-color mini-light with color & intensity smooth dimming. 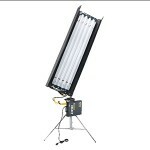 The LED 312 can be adapted for off-camera applications. 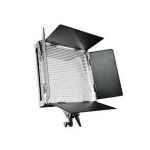 we carry a variety of additional on-camera lighting solutions.